I had to buy my late-summer-fiction novel on Kindle because I was number 310 on Montgomery County's waiting list for it. No doubt this is a major smash, what with Ridley Scott already rumored to direct the film version. 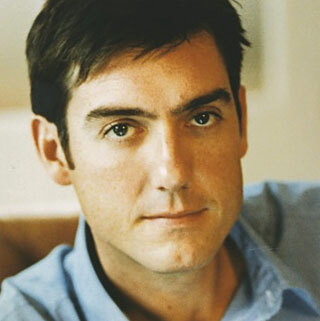 The Passage: A Novel, by Justin Cronin (pictured), reminds me of Stephen King's masterpiece, The Stand, in its ability to bring many great characters together in an end-of-the-world scenario. Some of the clues to the world I'm entering include a New Orleans that has finally been wiped out by Hurricane Vanessa, the ascent of Jenna Bush as Texas governor, a gas-depot bombing in Secaucus, a subway attack in L.A., "that Minneapolis thing, and all the rest, and, of course, whatever happened in Iran or Iraq or whichever it was." One storyline: Amy Harper Bellafonte goes from being just a little girl from Iowa to "the one who lived a thousand years." Amy's mom, Jeanette, ends up as a prostitute and shoots a frat boy who got a little too demanding one night. Jeanette finally realizes one day that she's not a good mother for Amy and leaves her with a nun named Lacey in a Memphis convent. A second storyline: A guy named Lear is sending emails to a guy named Paul Kiernan from a scientific trek through the Bolivian forests, where most of the crew is being brutally murdered by bats and other inexplicable freakishness. A third: A short African-American named Anthony Lloyd Carter sits on death row in East Texas for the murder of a Houston housewife and mother of two named Rachel Wood, whose lawn he was regularly hired to mow. Then FBI agents Brad Wolgast, older and tormented by his ex-wife's remarriage, and Doyle, a young former farmboy from Indiana, arrive to tell Carter they can get him out. Part of the deal to get him out has something to do with terminal cancer patients who went into the Bolivian jungle and grew back their hair while regained the energy of teenagers. There is obviously some vampire or Noah-lived-for-950-years action going on here. Likewise, it will surely take me some time to finish this book, but when I do, I'll be back here with a full review. 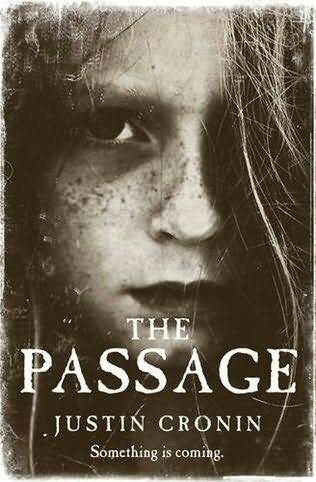 For now, I can't wait to keep turning pages of The Passage. Would it be feasible and/or possible for you to appear before the Senate and explain what they obviously need to know? I'll at least try to write the talking points for what the really smart experts need to tell them. Thanks for the encouragement.